If you’re like most of the people in the world, you visit at least one social media marketing platform at least once a month. I know that’s not a news flash. But what do you do if you’re a marketer? You can’t just engage on social media like an individual. 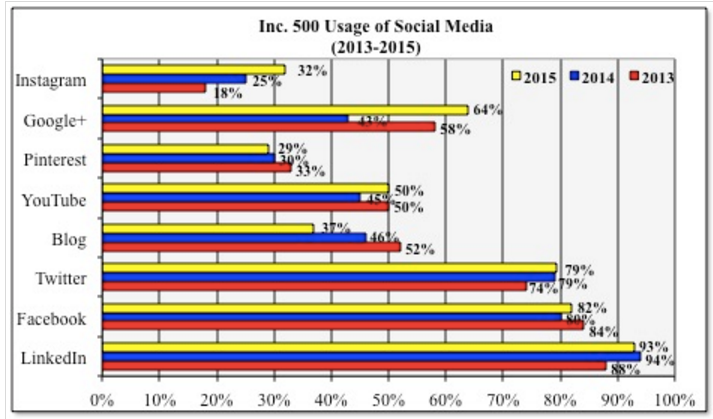 Which 2016 social media platforms do you use for your marketing? Which 2016 social media marketing platforms yield the best results for most businesses? Which 2016 social media marketing platforms yield the best results for your business? Size matters. 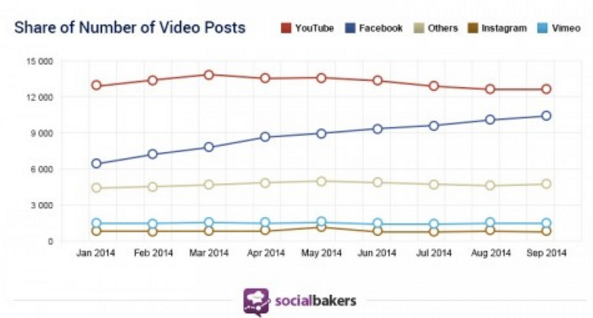 Facebook continues to evolve incorporating video, long form content and messaging. Facebook thought leaders to follow: Mari Smith, Jon Loomer, Amy Porterfield and Andrea Vahl. Twitter keeps going and growing despite a lack of internal leadership. Twitter has expanded into video with Periscope (live) and Vine (short form). Twitter thought leaders to follow: Kim Garst and Madalyn Sklar. Business lives on LinkedIn. LinkedIn is today’s resume and networking meeting place. Don’t underestimate the power of your business’s alumni. LinkedIn embraces the latest in long form content and forums (aka LinkedIn Groups.) LinkedIn Slideshare is where presentations and video attract user attention. LinkedIn thought leaders to follow: Jason Miller, Alexandra Rynne, Melonie Dodaro, Stephanie Sammons, Viveka Von Rosen and Neal Schaffer. YouTube is understated from a social media perspective since it’s often classified as a video platform. YouTube thought leader to follow: Steve Dotto. Google+ benefits from its Google association. It could use more corporate love from its parent Google. Google+ thought leaders to follow: Martin Shervington and Peg Fitzpatrick. Instagram is unique among 2016 social media marketing platforms since it’s a mobile app. It’s a visual darling including photos and video. Instagram thought leader to follow: Sue Zimmerman and Jenn Herman. Pinterest thought leaders to follow: Rebekah Radice, Donna Moritz and Vincent Ng. 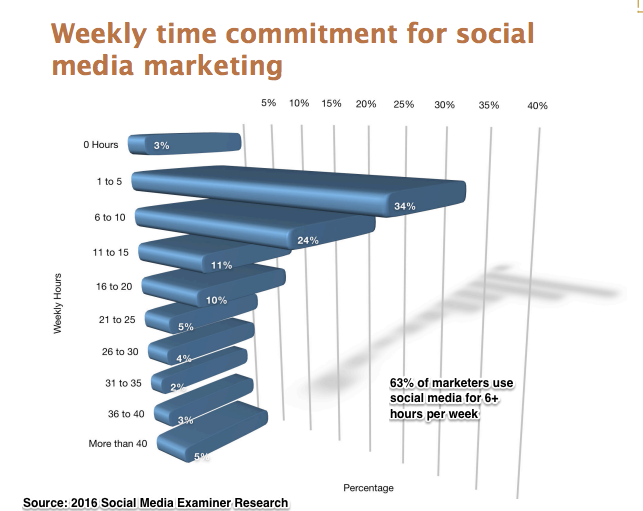 Based on the Social Media Examiner research, here are 5 key 2016 social media marketing trends. According to the SME research, there were only minor changes in order and magnitude of social media marketing platforms used. 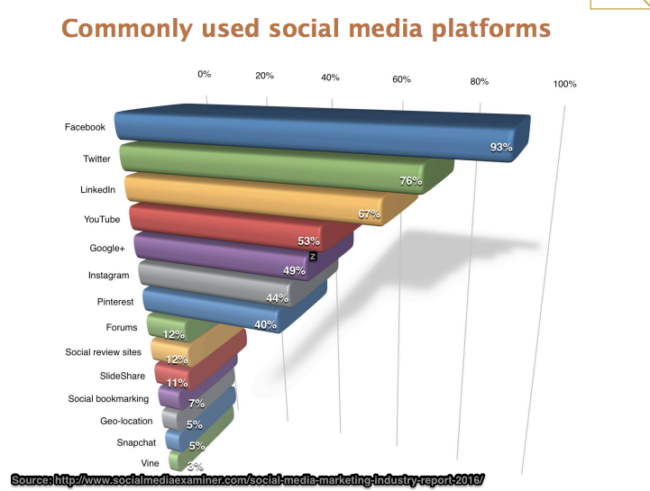 Longer experience with social media resulted in a greater number of social media platforms used. Note: There’s a survivor’s bias here. People who aren’t around or counted among these respondents don’t count. 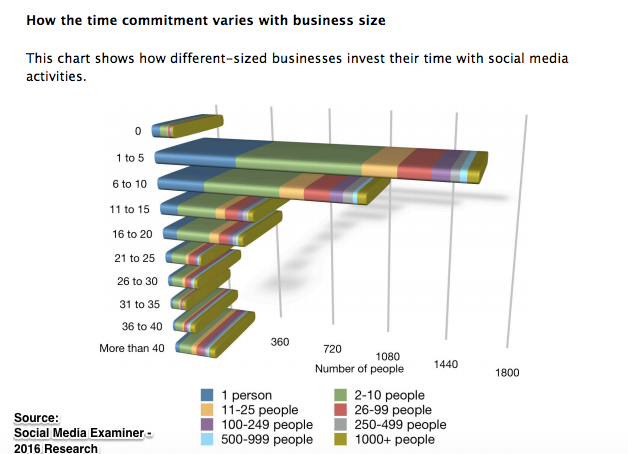 Greater time investment allows for more social media platforms. Intuitively, this makes sense. This means more people or greater dedicated resources. As social media continues to evolve and change, continuously refine what you’re doing to yield measurable success. Better social media results will come from smaller incremental improvements and overall marketing integration. Most of these 7 top 2016 social media marketing platforms support video in at least one format. Add video to your marketing plans now! The challenge: Quality video is difficult. But just start! Even top social media influencer Kim Garst talked about her fears with live video at Social Media Marketing World 2016. Yes they’re missing from this list of third party social media marketing platforms. Blogs are owned media. It’s even more important to incorporate them into your overall marketing plans. At a minimum, publish one element from every marketing campaign on your blog. Also, keep promoting your blog content. The Social Media Examiner research tightly defines social media review platforms to websites such as Yelp. This undervalues the power and strength of ratings and review sites. For most businesses, B2B and B2C, there’s at least one rating and review site that is critical to their business. The caveat: The rating and review site may not be classified as a social media marketing platform. Amazon. It’s the granddaddy of review sites. 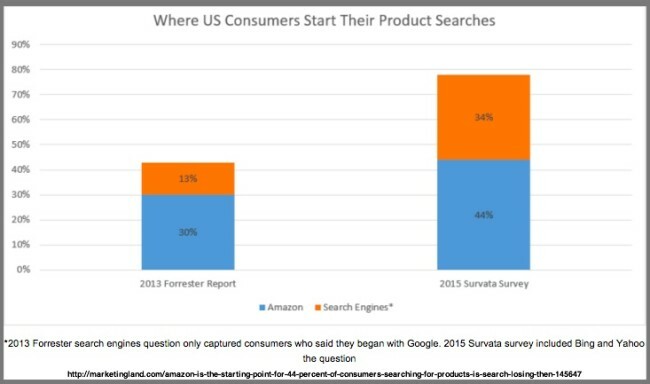 Over 40% of people start product searches here. TripAdvisor. This travel site just keeps growing. It’s gold for hotels and inns. What happens on the backend is opaque to most users. Ravelry. It’s the go-to site for knitters, crocheters, spinners and other yarnies. There are many, many others, especially in the tech space. Find the relevant ratings and review sites in your category and actively participate. Need help? Check Daniel Lemin’s ManipuRATED. 5. 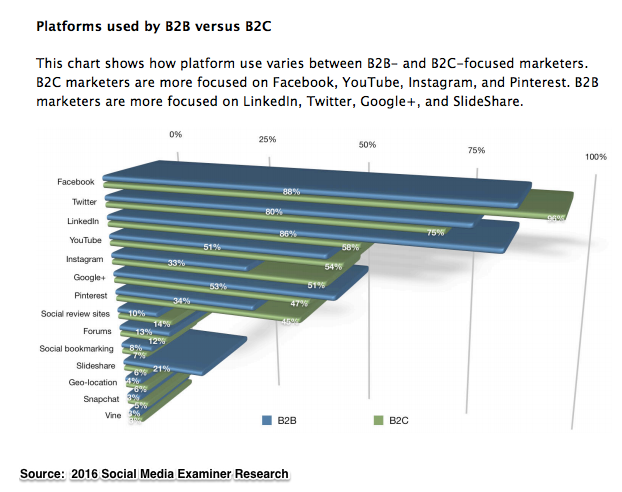 B2B and B2C marketers use a different mix of social media marketing platforms. 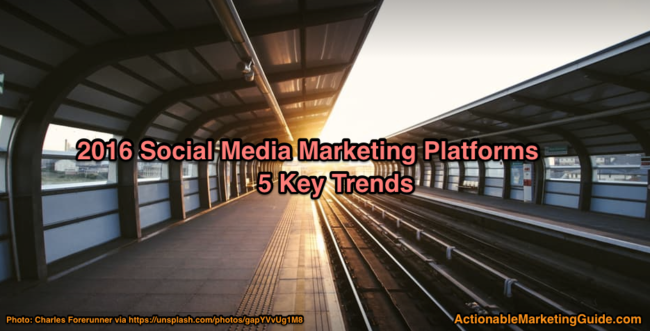 Earlier in the social media evolution, use of the most popular platforms like Facebook was necessary just to reach prospects, especially outside of the US. LinkedIn has evolved and expanded its ability to support businesses. Small businesses use LinkedIn the most of all 2016 social media marketing platforms based on UMass Dartmouth Research. At its core, LinkedIn is useful for human resources and business partnerships and sales. But, as I mentioned above, your blog should be at the top of the 2016 social media marketing platforms you use. From a marketing perspective, think of social media holistically. Integrate a variety of social media marketing platforms into your marketing plans. Of course this mix should include both your owned media, namely your blog, and third party social media. Tags Chart, Facebook, google+, Instagram, LinkedIn, Pinterest, Social Media Examiner, Twitter, UMass Dartmouth, YouTube. Bookmark the permalink. The ‘video is difficult’ one really hit’s home. We’re still figuring that one out. That’s actually a great point. There’s no such thing as one-way trick to social media success. Here at SlickPie.com I shift channels and approaches almost on weekly basis, and do some A/B testing to sharp things up to guarantee our supporters are feeling engaged with our delightful online account software proposition. It’s all about delivering value! Excellent post Heidi! As a social media manager- I am shifting the content from text / picture to video. While some of my clients are hesitant (what is it about that red light that flusters us so?! ), the content shared in video posts comes across as much more real and relatable to the consumer. nice post! The biggest platforms choice to offering our product is using Facebook but too popular and we compete with millions of people. But you get nothing if you dont try right? great post. 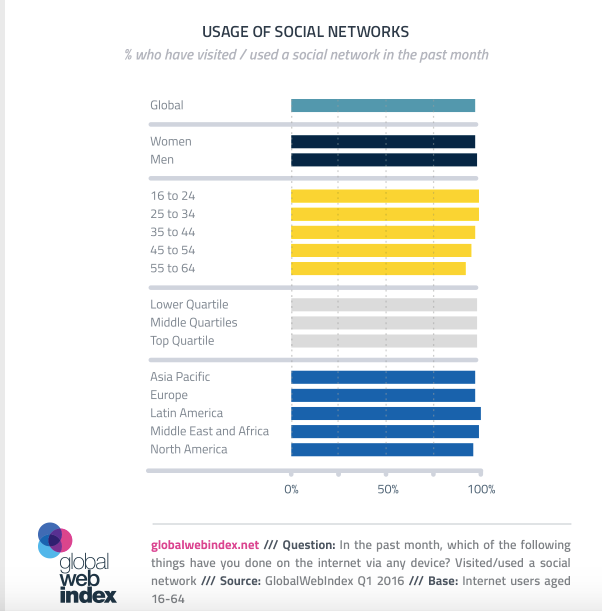 Actually in Europe, Facebook, Instagram and Youtube are the top performing platforms. Unfortunately people dont use Twitter here. Pingback: E 2016 și tot mai crezi că trebuie să fii pe TOATE rețelele sociale ca să vinzi?